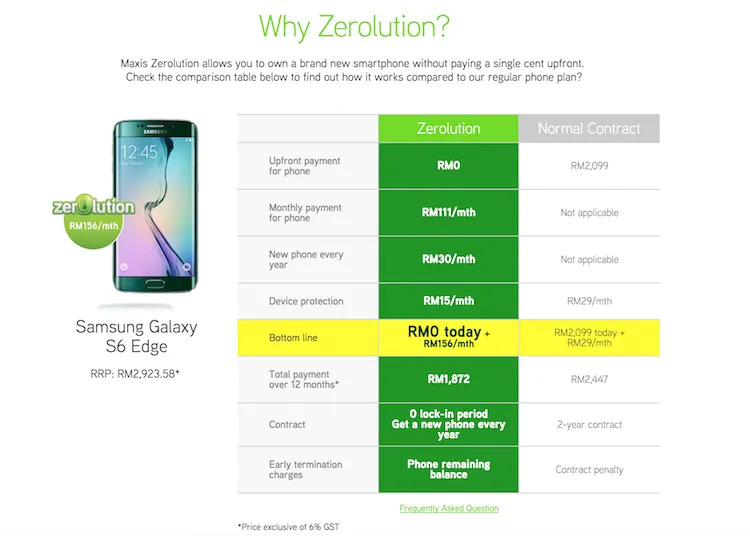 On top of new MaxisONE postpaid plans, Maxis also introduced a new Maxis Zerolution that lets you get a brand new smartphones with RM0 upfront, 0% interest, and zero penalties when you change to a new device after 12 months. 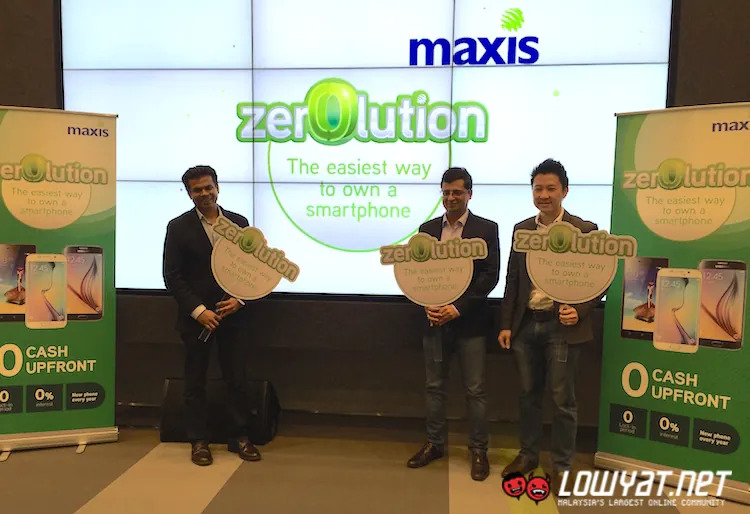 Maxis’ Zerolution lets you walk away with a brand new phone with no money at all – you don’t need a credit card either. When a new phone comes out a year later you are free to upgrade your phone with zero penalty charges. All you need to do is choose a MaxisONE plan of your choice from the list of new MaxisONE plans that was introduced earlier. After that, pick from a list of selected 4G LTE phones that are available for Zerolution – Samsung Galaxy S6, Galaxy S6 edge, Galaxy A8 and HTC One M9+. 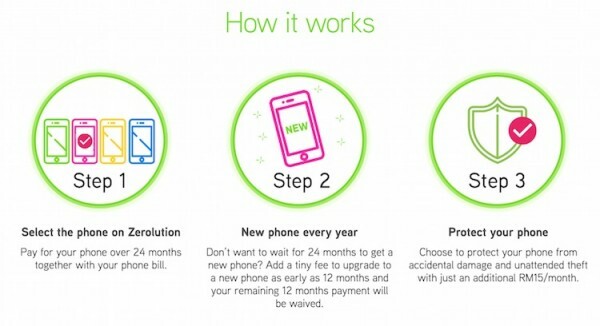 After 12 months, you can upgrade to a new phone with no extra charges or penalties. The charges? Pick a device of your choice, the monthly repayment depends on the device you pick. You can also opt for an optional device protection plan at RM15 a month. 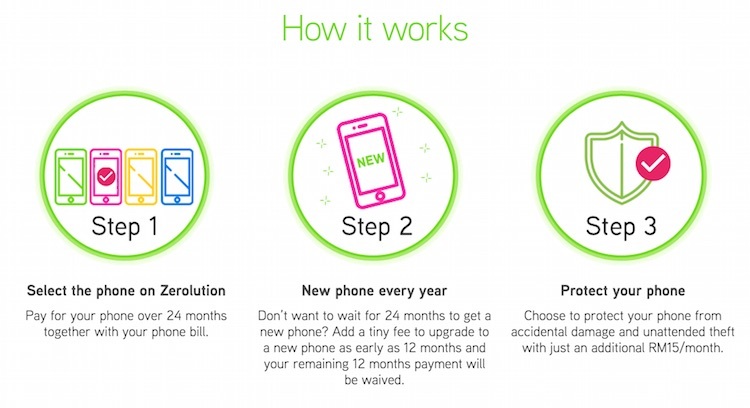 After 12 months, you will need to give Maxis back the device, and you can pick a new device of your choice. Do note that the phone must be in good condition otherwise an “access fee” of up to RM300 will be charged. This is why the telco is also promoting its device protection plan that protects your phone from screen cracks, accidental damage and theft to ensure you can upgrade to a new phone. Visit Maxis now to find out more about Zerolution.